Architectural Antiquities - 1. Set of 10 wrought iron, beam latch sets, $75.00 ea. 1. 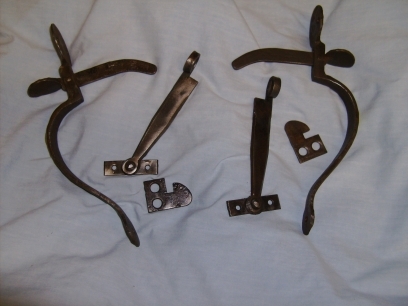 Set of 10 wrought iron, beam latch sets, $75.00 ea.